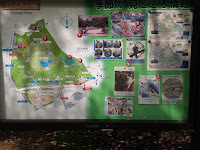 On the 27th I went to Shibuya (渋谷) by Metro, and from there I walked to Meiji Jingu ( 明治神宮) and the Yoyogi Park ( 代代木公園 ). 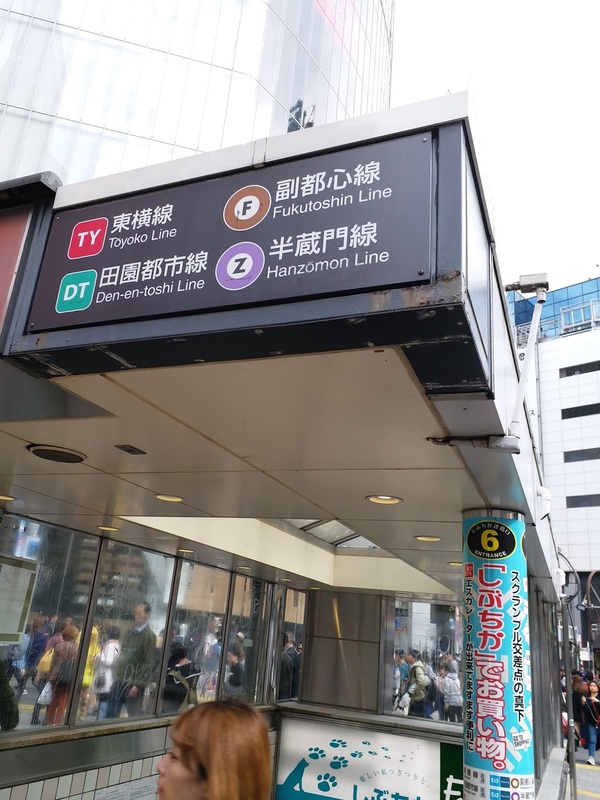 Shibuya can be reached by different train lines such as the Tokyo Line, the Den-toshi Line, the Fukutoshin Line and the Hanzomon Line. It is a district famous at least for the statute of a dog the Hachikou ( ハチ公 ) and the five-zebra crossing. 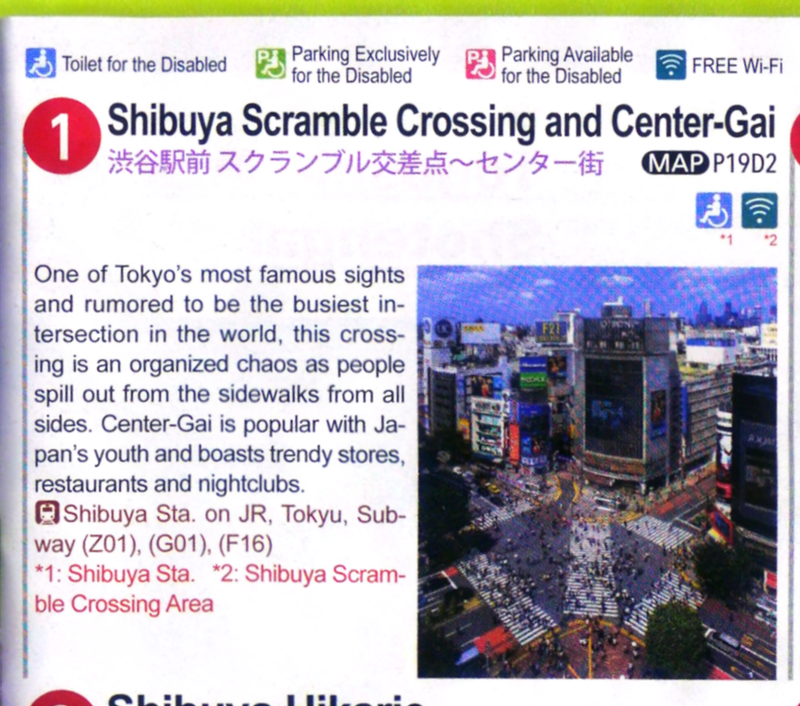 The Tokyo Travel Guide says that Shibuya has one of Tokyo’s most famous tourist attractions and believes that it has one of the busiest intersection in the world. People crossed this intersection from the sidewalks of all directions. 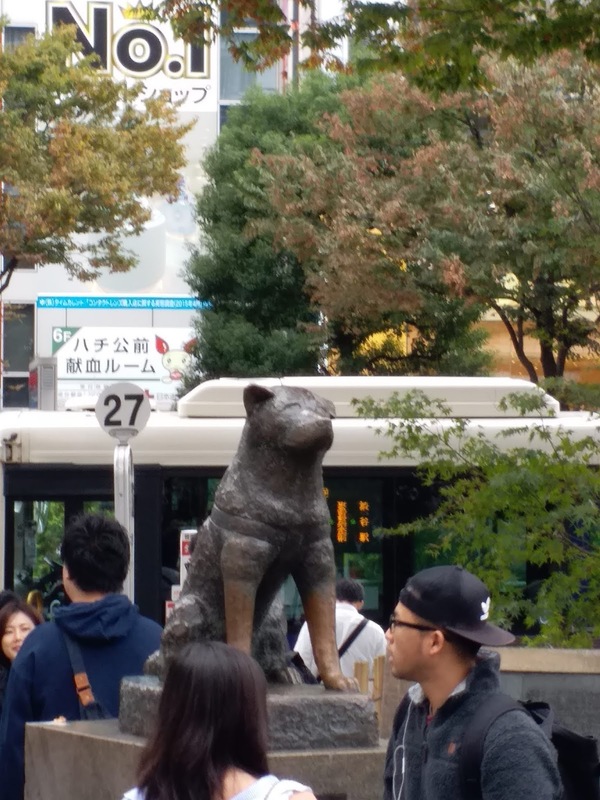 Next to this 5-zebra crossing is a statue of a dog erected in memory of its faithfulness as the dog had waited for its owner’s home coming for many years without knowing that its owner had died. During my visit I saw people lining up to take a photo with this statute. According to the NHK news report made on 23.6.2012, "Hachikou" the dog died on March 8, 1935. NHK also said that on that day Hachikou was found staying in the cold near a bridge of the Shibuya river, and it was carried into the train station. At that time, the dog was 11 years old. For many years, the story had that this dog came to the station trying to welcome its owner who had passed away and this story was reported by the newspaper regularly, and this phenomenon became famous. 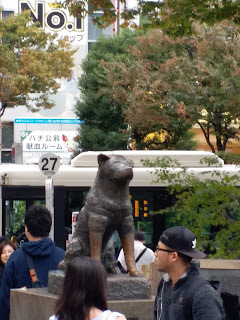 The train passengers and station employees also found this dog cute and it was said that the baggage storage area of the station had become a popular resting spot for travelers. Since that time Hachikou was being widely loved and regarded as a "faithful dog". 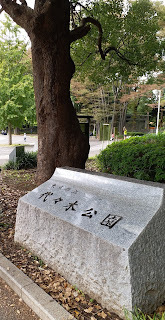 The story of Hachikou was in the news also in June 2012, please see my blog dated 23.6.2012. 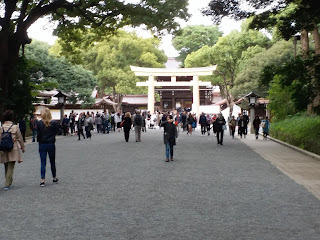 From Shibuya Metro station I walked to the Meiji Jingu. The Tokyo Travel Guide says that the souls of Emperor Meiji and Empress Shoken were enshrined in this Shinto shine. The shrine was built in 1920 and the forest surrounding it was created thanks to the donation of 100,000 trees by the Japanese. 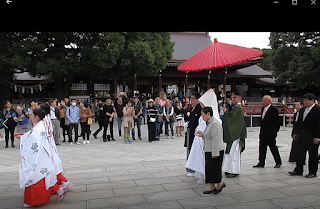 At the time of my visit, a marriage wedding was being held and many tourists stopped their sight seeing routines to watch as this small wedding procession passed by. From Meiji Jingu I walked to the Yoyogi park. 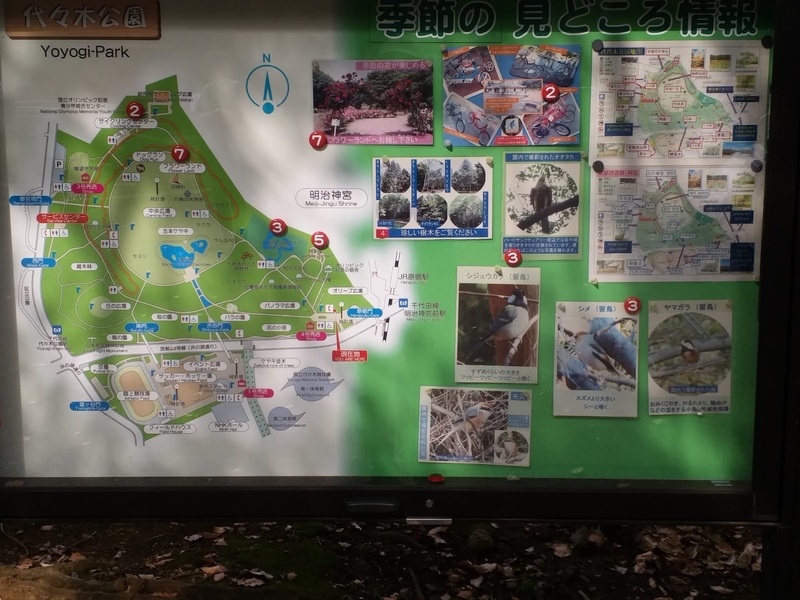 The Yoyogi Park was inside the Meiji Jingu. In Yoyogi Park I saw people came here to relax, to play outdoor ball game etc. and to bike. Some people also took along their pet dogs to enjoy the green environment. I also saw a band getting ready to perform music for the park visitors.